Düsseldorf is one of the economic centres in Germany. The city has been booming for years and with it the courier business. For more than 30 years now, bicycle couriers in Düsseldorf have been hunting between the fast growing companies in the city. The many trade fairs and events also ensure that Düsseldorf´s couriers are always running at full capacity and have to deal with bottlenecks. 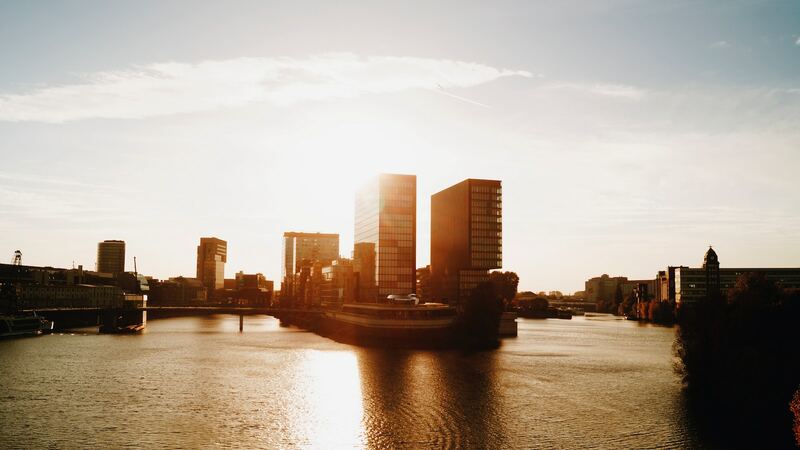 Düsseldorf is one of the leading locations in Germany for high tech companies. This leads to a lot of information exchange and thus to a lot of courier jobs in the city. We work with various other start-ups on innovative concepts for city logistics. Our aim is to organize courier traffic in the city as efficiently as possible and relieve traffic in the city. Packator is your one stop shop for all things delivery in Düsseldorf. We work with national and local courier partner to ensure that your shipments are dealt with efficiently and professionally. From bike couriers to zero emission rides, Packator offers you all that and then some. Packator gives you access to lots of couriers. We cooperate with leading certified courier partners in Düsseldorf. Depending on the consignment, we select the optimal partner. In doing so, we try to make the best use of our partners' capacities, so that fewer empty runs occur. This protects the environment and your budget. Our conditions in Düsseldorf depend on many factors. In the city courier sector, the prices generally consist of a fixed basic lump sum plus a fee per kilometre. Both factors depend on the size and weight of the shipment. These factors determine whether we hire a bicycle builder or someone with a large van. The bigger and heavier, the more expensive it gets. With our customer service you can flexibly book additional services such as a second person as a loading aid or additional waiting and loading time. In principle, our computer page on the page always indicates a binding price for the shipment. Items sent to addresses outside Düsseldorf will be charged slightly differently. The size and weight of the consignment are decisive here. The price is calculated according to the so-called volume weight. We calculate whether volume or weight are decisive for the shipping capacities. In addition, the dispatch speed is relevant, i.e. the faster the shipment must reach its destination, the higher the costs as a rule. For international shipments, the conditions from Düsseldorf vary depending on the country of destination. The conditions for national express and overnight shipments can also be called up directly via our computer and then simply booked online. The speed can be selected directly when entering the programme. Within the city, our couriers are usually on site within 60 minutes for a pickup and then they will deliver directly from there. So we are always dependent on the current traffic situation. For shipments from Düsseldoft to destination addresses within Germany, we offer direct travel as the fastest option. This means that a driver sets off as quickly as possible, picks up the shipment and then drives directly to the destination address. We calculate here with 60 kilometres per hour as average travel speed. Otherwise, we offer various options for overnight delivery. The fastest option is delivery by 8.00 a.m. the next morning.